Genetically modified organisms (GMOs) are an extraordinary innovation. They raise great expectations of economic prosperity and improved capacity to address pressing problems of poverty and environmental degradation, whilst simultaneously raising great concerns about the type of social and physical world they promise. Finding space in regulation to consider the full range of issues provoked by GMOs is a huge challenge. 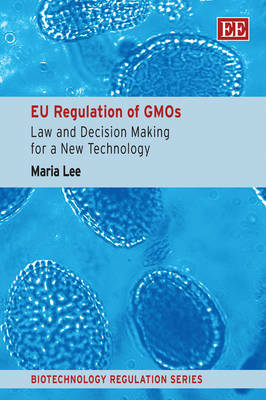 This book explores the EU's elaborate regulatory framework for GMOs, which extends far beyond the process of their authorisation (or not) for the EU market, embracing disparate legal disciplines including intellectual property, consumer protection and civil liability. The regulation of GMOs also highlights questions of EU legitimacy in a context of multi-level governance, both internally towards national and local government, and externally in a world where technologies and their regulation have global impacts. This book will be of interest to academics and students in both law and social sciences, as well as practising lawyers and policy makers. It addresses questions that are significant for those involved in environmental or food issues, as well as specialists in GMOs.